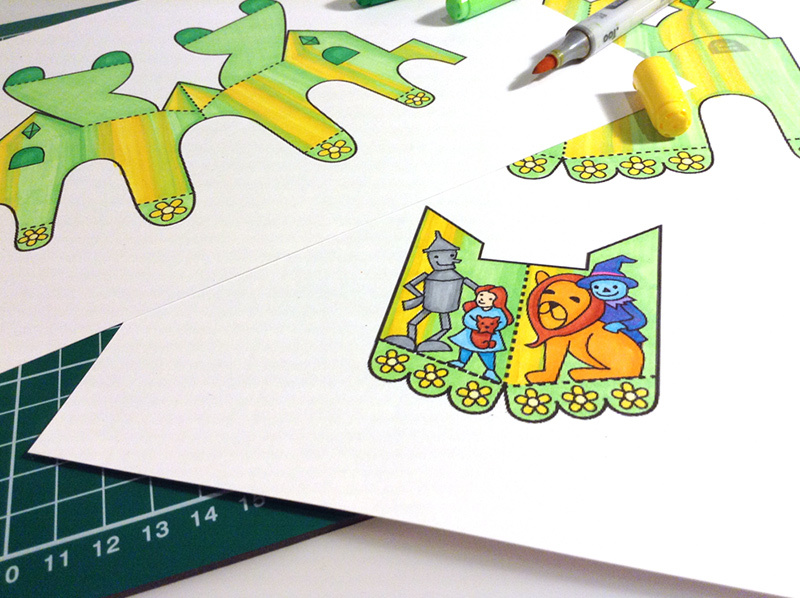 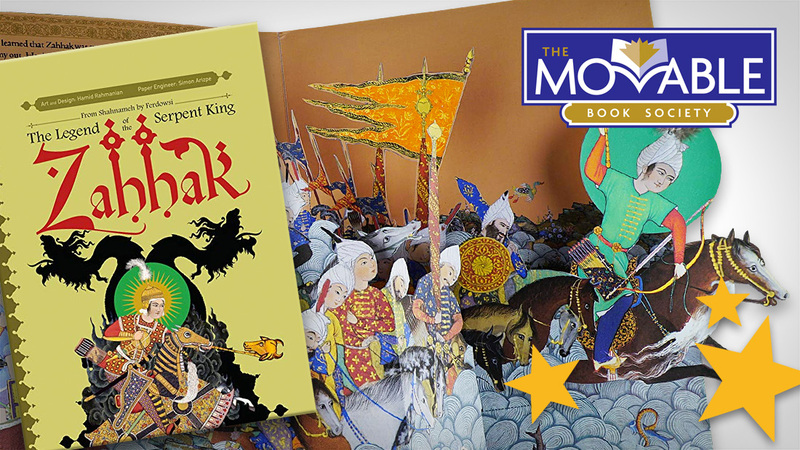 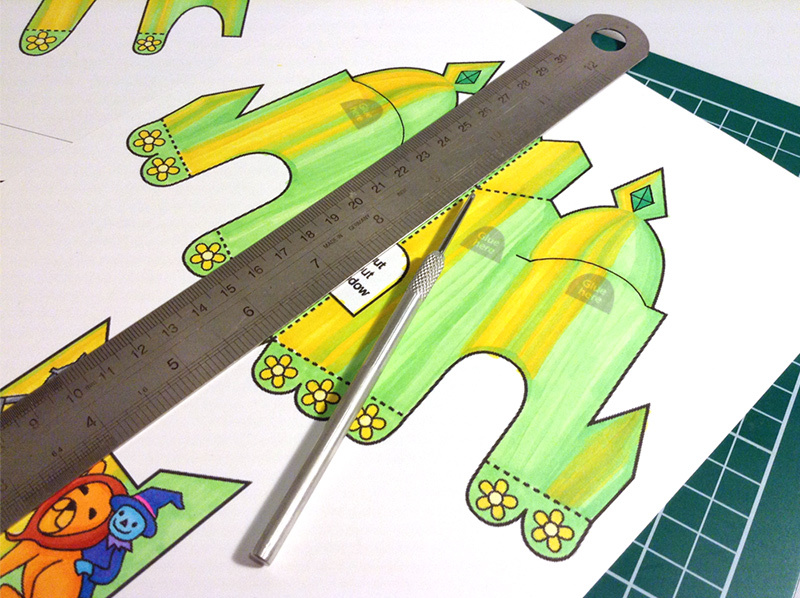 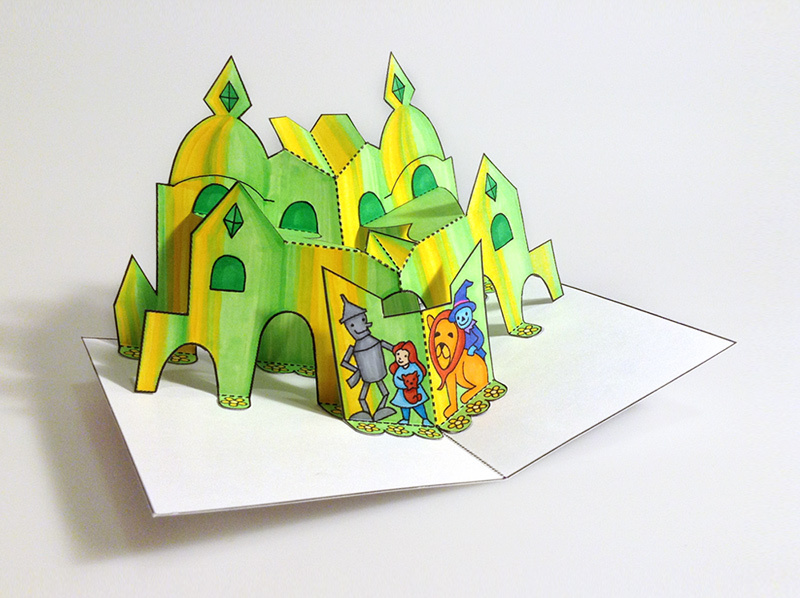 A few days ago we posted our latest video review from the Wonderful Wizard of Oz pop-up book. 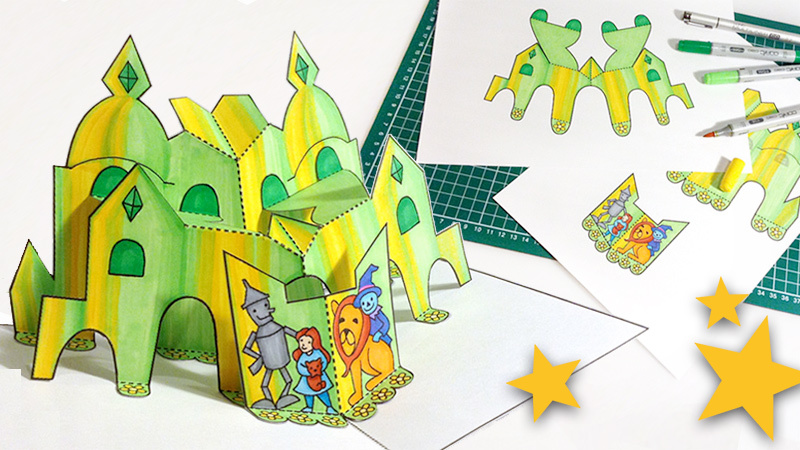 We are absolutely in love with the beautiful Emerald Palace pop-up spread so we decided to make one ourselves! 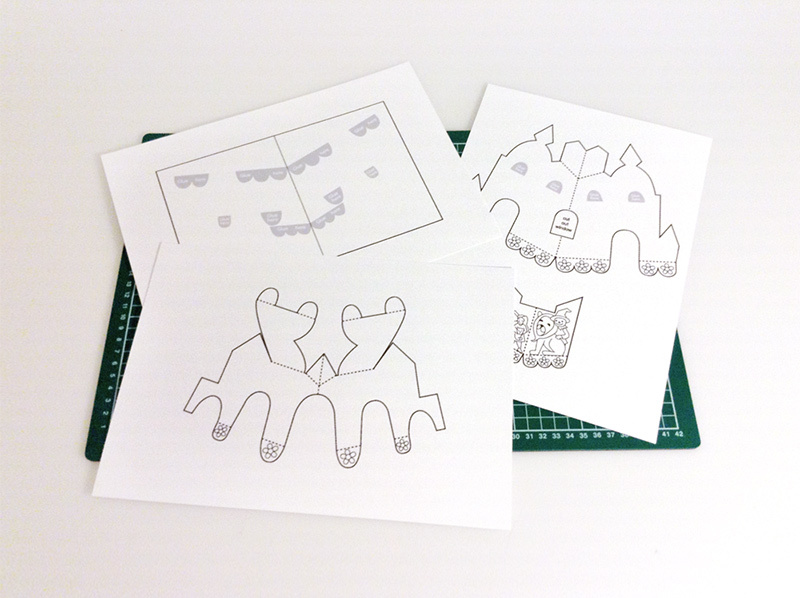 We did this with the help of a print-ready template we found on Robert Sabuda’s website. 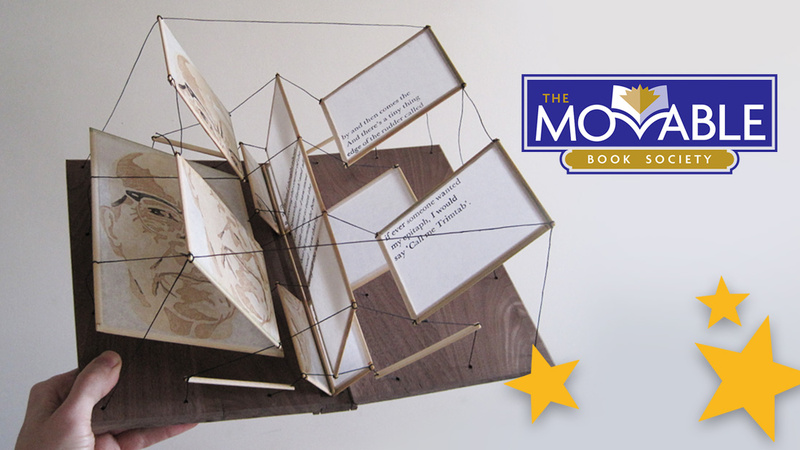 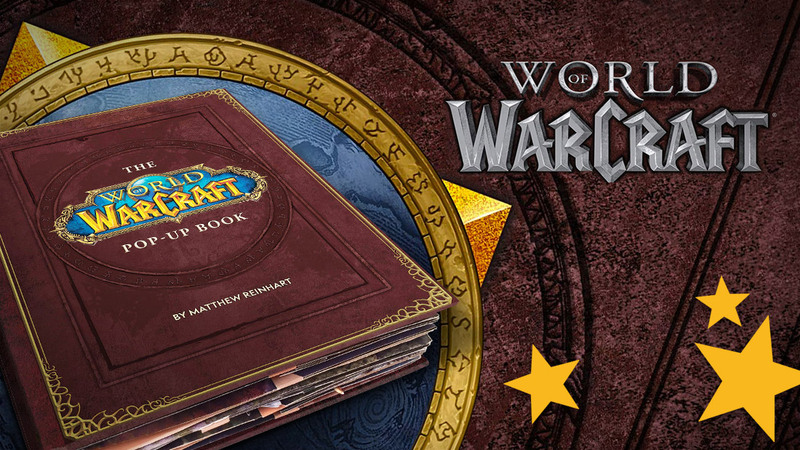 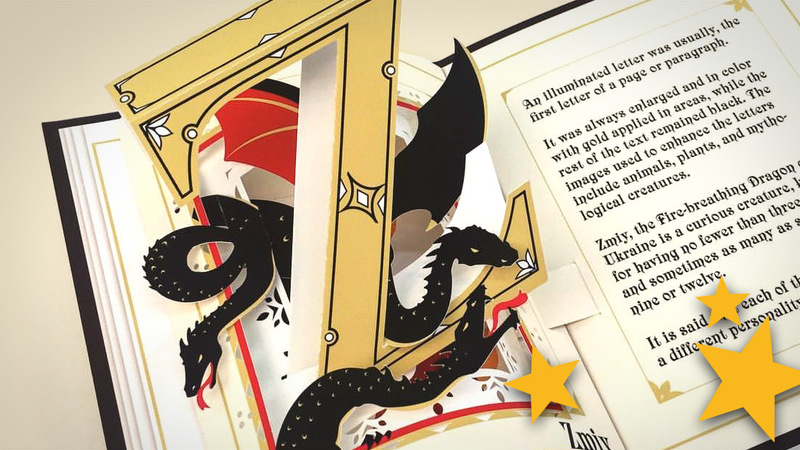 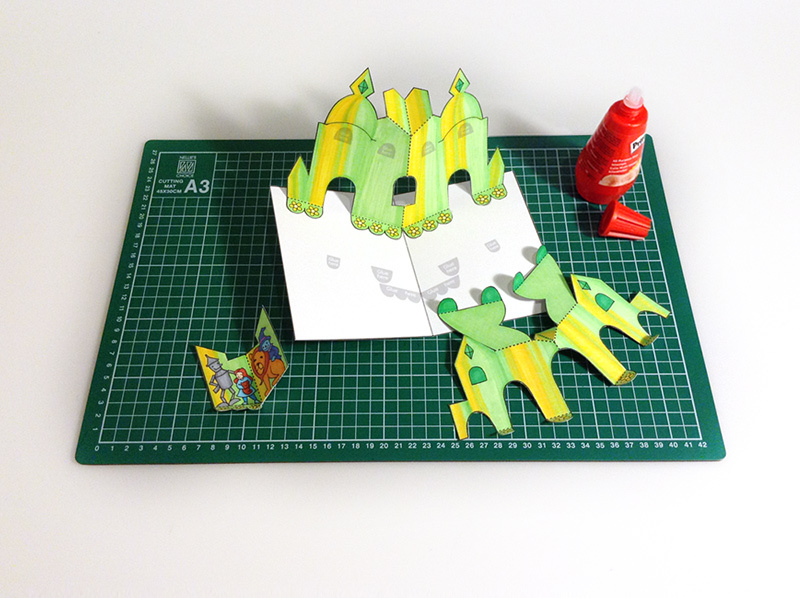 Robert Sabuda is one the best pop-up book creators from this moment and he offers a lot more downloadable templates to make your own pop-ups. 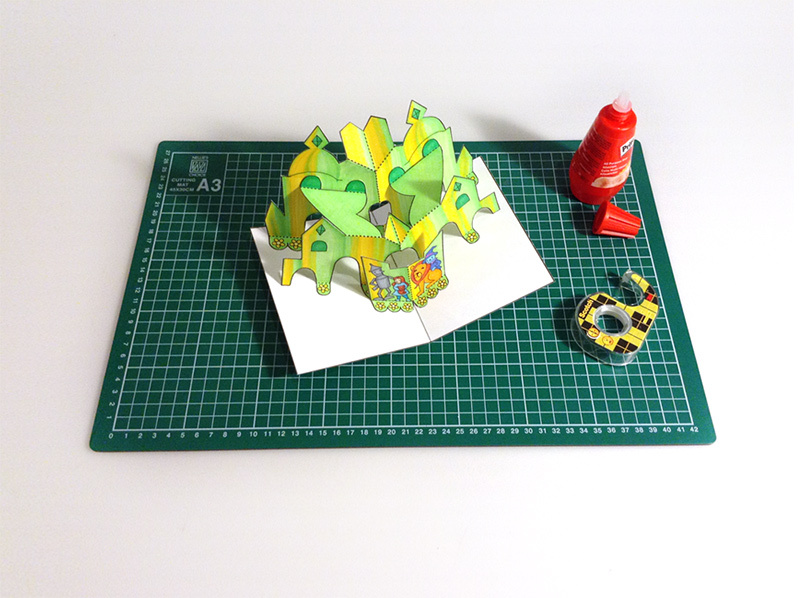 If you’ve always wanted to make your own pop-ups you should definitely take a look at his How to make a pop-up page. 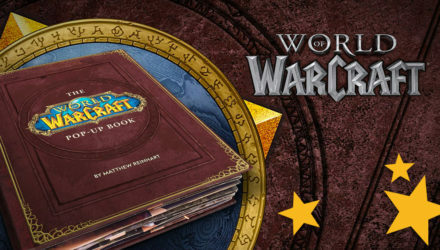 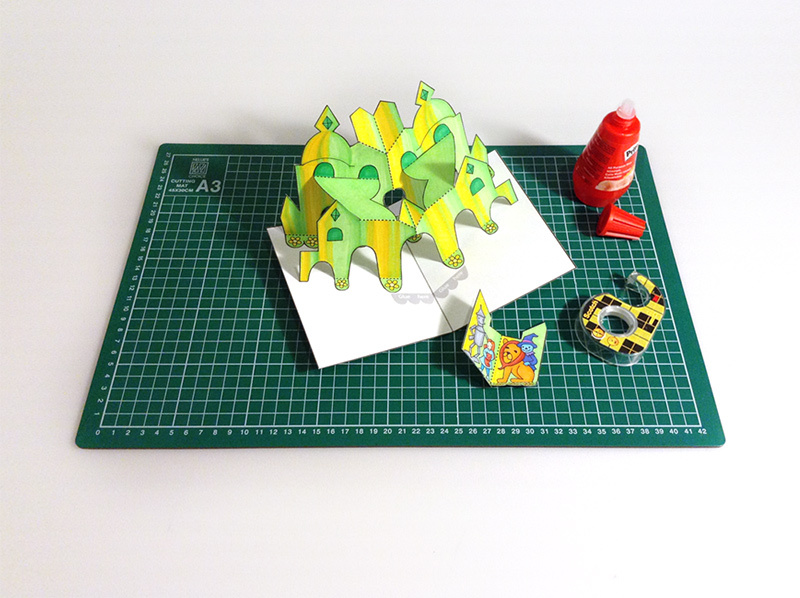 If you want more information about how to make pop-ups you can also visit our How to page. 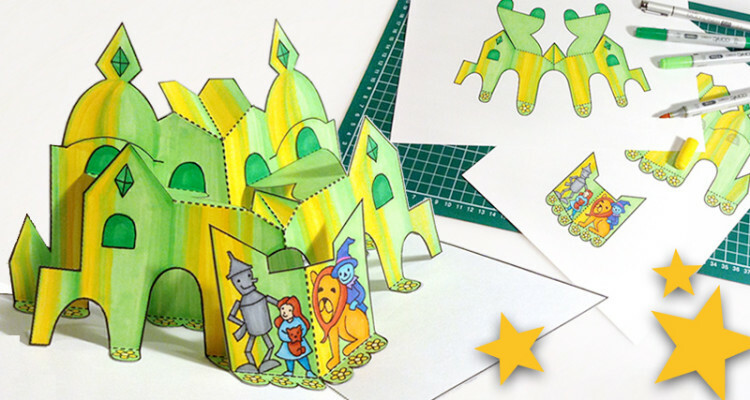 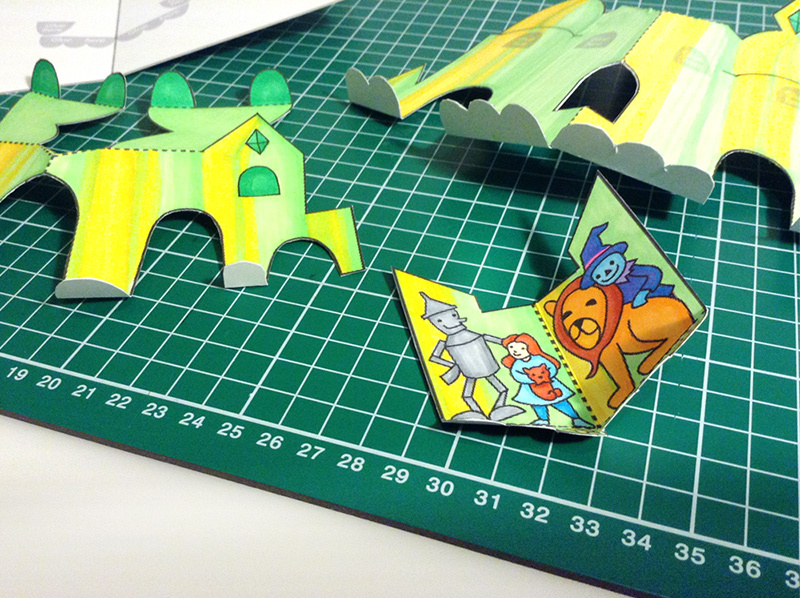 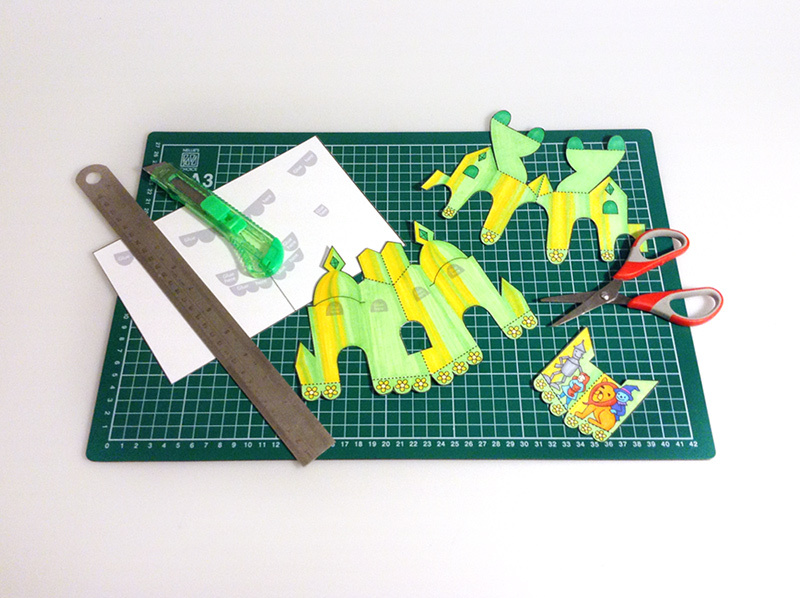 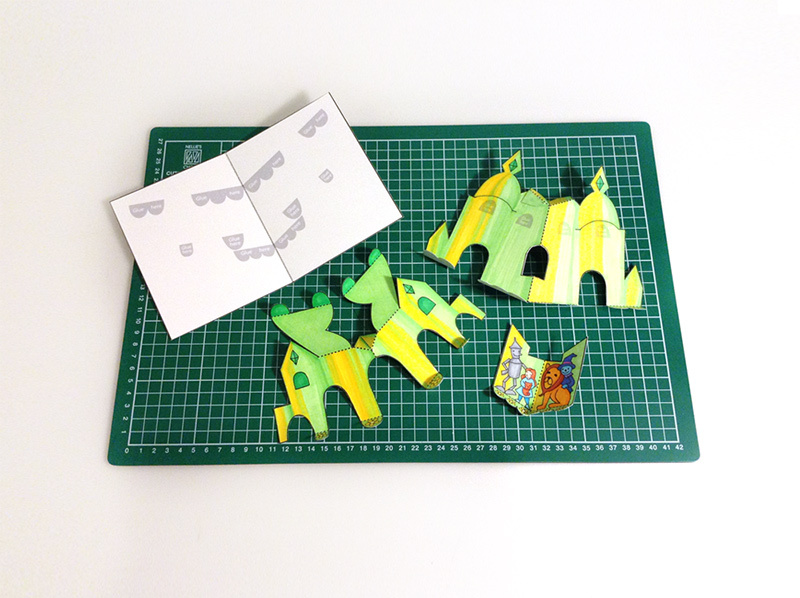 We’ve captured our project to show you how to make your own Emerald City pop-up! 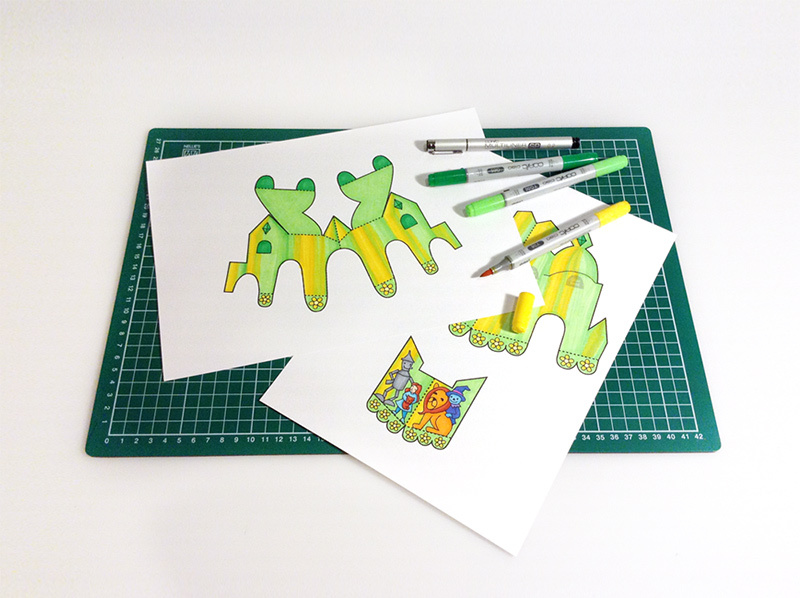 Just follow the steps and be as creative as you want! 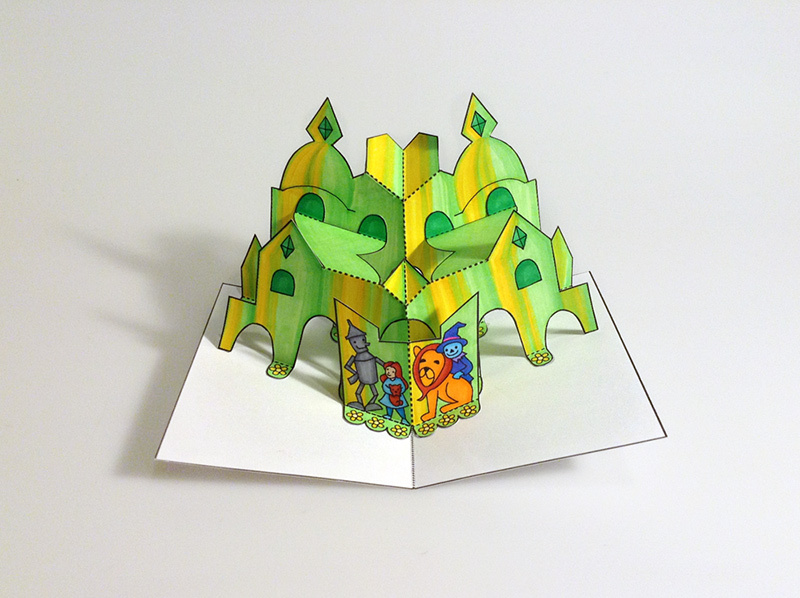 Have fun with your own Emerald Palace pop-up!